Our vision is that the Quakertown Conference on Reformed Theology would be a place where God would be worshiped in His fullness, where the saints would be edified through sound Biblical teaching, and where disciples of Jesus Christ would be equipped to be faithful and obedient to His calling on their lives. It is our mission to proclaim the sovereignty and supremacy of God and the blessed hope of salvation in the Lord Jesus Christ through excellent teaching that promotes the full counsel of God as found in His word. The Quakertown Conference on Reformed Theology will be a tool that is helpful in encouraging the reformation of the Church according to the Scriptures so that Christians would be faithful in doctrine, in worship, in ministry, and in life. We seek to provide a venue for believers from many congregations and denominations to be taught Reformed theology, the system we believe is most in accordance with the Scriptures, in ways that are glorifying to God and useful to the body of Christ. 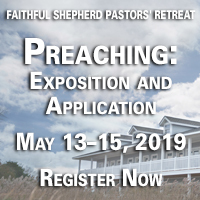 We also seek to be a teaching tool for laymen as well as pastors, equipping them to serve in their respective congregations and denominations.